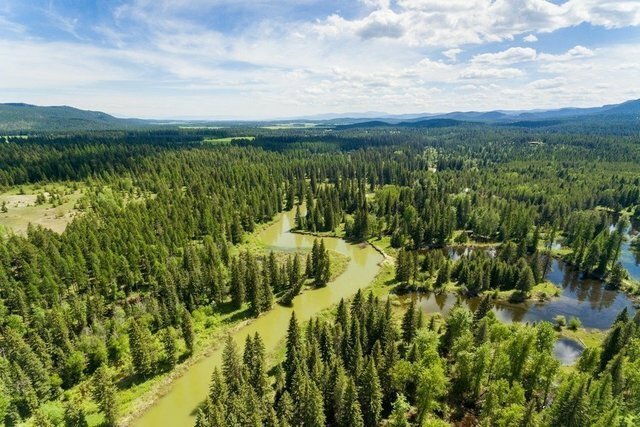 Remarkable large acreage estate property with easy access, significant Stillwater River frontage, and endless recreation or development opportunities less than 10 miles from the heart of Whitefish. Exceptionally private once on the property, the terrain includes large bluffs with open meadows, a variety of healthy, mature trees, a long windy stretch of river, and mountain vistas in every direction, all serviced by a well placed interior road system. You will not find another like this, a trophy holding that has it all, yet so close to town. One of the best the area has to offer. Call Kelly Laabs (406)890-5451 or your real estate professional.